The recent publication of the European Commission’s proposals on bass fishing in 2016 “to halt the dramatic decline in this important stock” are certainly radical but are they fair, effective and proportionate? 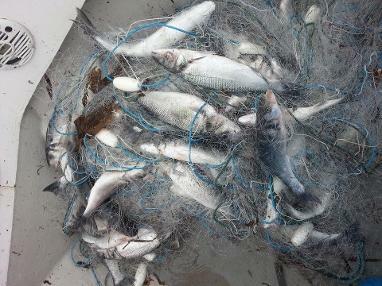 The proposals, which will be put to the Council of Ministers next month, include; “a complete fishing ban for commercial vessels and recreational anglers in the first half of 2016”, and in the second half of 2016 “a monthly one tonne catch limit for vessels targeting sea bass and a one fish bag limit for recreational anglers”. This crisis has been brought about by years of overfishing compounded by, until recently, a marked reluctance by fishery managers and politicians to heed the ever more apocalyptic warnings from the scientists. Organisations like the National Federation of Sea Anglers, now part of the Angling Trust, and the Bass Anglers Sportfishing Society (BASS) have been campaigning for the introduction of bass conservation measures for best part of 20 years. Things looked hopeful in 2004 when the Net Benefits report by the Cabinet Office recommended that fishery managers look at making bass a recreational only species. Sadly, the report stayed on the shelf and although in 2007 we came close to achieving an increase in the ludicrously small and unsustainable minimum size limit of 36cms, under the then Fisheries Minister Ben Bradshaw, this was stopped at the last minute when Bradshaw was reshuffled and his successor, Jonathan Shaw, caved into pressure from the commercial sector. A breakthrough of sorts came earlier this year when the Commission bypassed the deadlocked politicians and introduced a package of emergency measures which included a ban on mid-water trawling for bass from January to April in order to protect the existing spawning stock biomass. They also brought in new monthly catch limits on commercial boats, a raised minimum landing size to a more sustainable 42cms and a three fish bag limit for anglers. Welcome as these measures have been they were introduced more than two years after scientists at the International Council for the Exploration of the Seas (ICES) had issued clear advice for at first a 36% and then an 80% cut in bass mortalities. It seems to have been a case of ‘too little too late’ as unfortunately the situation has further deteriorated. The ICES advice for 2016 recommends catches of 541tonnes. This is effectively a 90% reduction on 2014. Even if all targeted fisheries were closed the commercial by-catch of bass would exceed the recommended figure of 541tonnes. All of which means that for the bass stock recovery measures to be effective far greater restrictions will need to be placed on the harvesting of the species. I will return to what I think needs to happen to the commercial fishery but let’s first address the idea of a one fish bag limit. Whilst I am firmly of the view that anglers must play their part and accept sensible limits on the amount of fish they can take a reduction of this magnitude on the sector that causes by far the lowest impact on bass stocks is anything but fair or proportionate. “Government figures show that recreational sea angling is enjoyed by more than 800,000 people in the UK and is worth £2bn to the economy. Bass is our most popular sport fish and a huge amount of bass caught by anglers are returned to live, breed and fight another day. Anglers have been warning about commercial fishing causing a decline in bass stocks for the last 20 years and it is only recently that the European Commission and the Member States have started taking the issue seriously. The European Anglers Alliance (EAA) of which the Angling Trust is an active member, has already identified that the technical detail of the Commission’s proposals are unclear with regards to whether the ban on fishing in the first six months of 2016 refers to recreational fishing. We are currently waiting for a correction from the Commission in order to clarify this and in any case it’s difficult to see how catch and release angling could be caught by any proposal. Spawning aggregations need protection, so no catches should be allowed in the entire distribution area of the stock for the first six months of the year (January 1st to June 30th 2016). Due to unavoidable by-catches of bass by trawls and seines, they will be permitted 1% of the weight of the total catch to be bass. Further catch limits are needed to protect sea bass outside the spawning periods (July 1st to December 31st 2016), so non-transferable monthly catch limits of one tonne per vessel should apply in ICES divisions IVb and IVc, VIId, VIIe, VIIf and VIIh, and in UK waters in ICES divisions VIIa and VII. The New Economics Foundation, a respected think tank which has studied these issues in depth, certainly feels that more needs to be done to reduce commercial over fishing. We called for decision makers to apply a ‘best value’ approach when allocating access to bass. Our evidence showed that hook and line fishing for bass produced the best value to society, while trawlers provided the least when applying a combination of 13 social, economic and environmental indicators. Instead, the 1% flexibility for demersal trawlers and seine netters gives them a get-out clause, allowing them to keep fishing in areas where they will catch bass. They will not be spatially or temporally excluded from the bass fishery, but will continue to catch bass in critical areas as a valuable bycatch. This is not what the reformed Common Fisheries Policy (CFP) aims to do – it aims to reward selective, low impact and responsible fishers – especially small scale fishers. In other words the one tonne limit will do little to lessen the impact of drift and gill netting, which has done so much harm to bass stocks, and the 1% by-catch rule would give the trawlers and seine netters a get out of jail free card and allow them to keep targeting bass in certain circumstances. Surely now is the time to bite the bullet and take these damaging nets out of the bass fishery altogether? Any regime that allows netting will create by-catch issues and is inevitably open to abuse. Anglers known fine well that bass are regularly netted from the supposedly protected nursery areas under the pretence of targeting mullet. The removal of the bass nets would provide some relief for other species that are prone to the activities of the poachers and unlicensed netsman. I start from the position that it is all about the fish not the fisherman. Without self sustaining fish stocks we have no fishery and no fishing. Nobody has a God given right to catch and sell the publicly owned resource that constitutes the fish that swim in our seas and oceans. They certainly have no automatic right to taxpayers subsidies or to receive compensation for not being able to keep on fishing for the same stocks that they themselves have been overfishing for years. As the New Economics Foundation and others have shown a hook and line commercial fishery is sustainable and line caught bass give the best value for the commodity. They command a higher price than netted fish and if they are captured undersized they can be returned with an excellent chance of survival. Bearing all this in mind it is difficult to understand why the Commission is proposing that the line fishery has its monthly catch limit cut from 1300 kg to 1000 kg while the netters have had no reduction in their catch limit. I would argue that this may in fact contravention of article 17 of the Common Fisheries Policy which relates to sustainable fishing. Another important advantage is that a slot size would be easy to implement with a line caught fishery and for recreational fishing, allowing the old and heavy spawners to be returned to add to the stock. The minimum landing size could be increased without the need for an expensive change of gear. This would mean more bass being able to breed and a stock that would increase year on year. What’s not to like about removing the nets and having bass stocks survive and prosper in hook and line fishery with a substantial no take close season? Over the next fortnight we will be liaising with our colleagues in the Bass Anglers Sportfishing Society (BASS) and our partner organisations in the European recreational fishing sector in producing a carefully worked response to the Commission’s proposals. This will focus on trying to ensure all sectors contribute to the conservation of bass stocks in a more balanced and proportionate way. We intend to put this forward for consideration at the December meeting of the Council of Ministers where we hope to see the Commission’s original proposals amended. I’ve set out here my own personal views, and yes, they would result in some hardship for some commercial fisherman but if we carry on without embracing effective and meaningful bass conservation policies then there will be no fish for anyone to catch, either for fun or for food. I would, however, question if January to June is the appropriate period when the bulk of the spawning and associated migration begins in November and is over by May. 2) I want Europe to move to a hook and line commercial fishery only and before the commercials start screaming blue murder I should point out that this is less severe than the recreational only status applied by Ireland and likely soon to be adopted by the Isle of Man. 3) And should the Commission agree with this approach what would be a fair contribution from the recreational sector? I would happily see the minimum landing size rise for all to 45 or even 50cms and by introducing a maximum size of say 60cms we would be obliged to return the important big breeders. 4) Until last year we had no recreational bag limits at all and in my view the current three fish per day limit could be reduced to two fish as part of the type of proportionate package that I’m suggesting. 5) There would also need to be a substantial increase in the number of inshore bass nursery areas and better protection for estuaries in order to create an environment in which young fish have the best possible chance of surviving and thriving. 6) And, most important of all, and end to the totally unsustainable and damaging practice of netting for bass which is at the root cause of the overfishing that has caused the stocks to crash in the first place. With something like 80% of domestic demand for bass being provided by plate sized farmed fish there is simple no need to have nets in our fishery. With European bass stocks on the precipice now is the time to make up for a generation of complacency and inaction. Perhaps it’s all too much to hope for but if the scientists, the politicians and the European Commission can all sing from the same song sheet for a few more weeks then radical reform really could happen and our big, beautiful, silver bass might just be offered a future. bass are regularly netted from the supposedly protected nursery areas under the pretence of targeting mullet. Sorry to say but in Milford haven registered fishing boats & nets are BANNED from such areas but why have pleasure rod anglers been allowed to fish there. The vast amount of greedy gut hooked schoolies that are caught surely don’t survive being returned. The size of fish caught in nets is governed by mesh size so increase the mesh size and also a net attended by the boats man can return bass alive. No people ban all bass fishing if it is required. Do not pick on one side of this sad story. I believe there is a genuine move here to try and do the right thing. The closed season is an interesting one as they never really seem to be implemented affectively and it appears this was simply a calendar issue because as you say November would make more sense. My main concern I have is what are the commercials going to do in this six months aside push their luck with the 1%? It could unfortunately see them destroying breeding mullet shoals, that is my biggest fear. My thoughts on the one bag limit are that it should be adopted without reservation and used as a demonstration of how serious the recreational sector is. Not arguing it is unfair but pointing out to the commercial sector that we happily accept these measures would only help us gain credibility. I understand why it is being proposed as the EU believe 25% of bass are captured and killed, recreationally. In the UK over 80% of bass are released alive. You don’t have to be very good at maths to see that this is not correct or recreational anglers would actually catch more than commercial fisherman. I cannot see many recreational bass fisherman being that angry, after all it is recreation and if you want to eat a bass it would surely be cheaper to buy a farmed one as Martin says. As I stated before and as a mullet angler my fear is that they will get targeted as breeding shoals which could devastate the species which is extremely vulnerable. All consideration of bass conservation under existing legislation or bye-law changes, local or European, ignores the simple fact there is no effective enforcement and everyone knows there is none. Every sunny weekend day will see boats trailing large lures and spinners well above the Cleddau Bridge, deep inside the Milford Haven bass conservation area, where there are few predators other than bass, without let or hindrance. I have seen tiny bass caught from Milford Haven and killed by people who did not even know what species they were let alone that there was a size limit! We need both publicity and enforcement and it is a big body of water so the enforcement agency needs to be afloat! Fat chance!! I totally agree with Andrew Burt. It may seem unfair on sport anglers to place a ban on any catches during the first half of 2016 but we have been crying out for years against commercial fishing for bass. Perhaps a lead on this issue and accepting the ban followed by the 1 fish per trip legislation would demonstrate the seriousness which we are taking this and our determination to accept the chance to demonstrate this. However David Nattress is correct, we need much more publicity, there should be prominent signs at every pier and slipway, all recreational boat skippers should be advised. Most people will take note if they are educated, there will always be the ignorant anglers and the greedy skippers but it is high time to demonstrate our willingness to act. Nobody cherishes the sight of wind farms but there is a real chance to use these as off limits fish nursery areas, link the towers to power producing wave machines to make passage through the array unnavigable and we will have ready made protected areas. David Nattress at last I’m not the only one to notice the total lack of responsibility by both anglers and enforcers at Milford Haven. When I complained to the Fisheries agency they told me that tourism over rides the need for conservation!!!! NIce, here is the detailed post about the methods to get rid of the bass nets, along with the steps to be taken for the improvement. You must continue your writing. I am sure, you have a great reader’s base already! Thanks for the article. it is vital to keep up to date,particularly for those of us involved in running sea angling clubs as we have a responsibility to our members to help conserve stocks and stay within the law. Big thanks to all for your hard work on our behalf. I would urge all clubs and anglers to sign up to Angling Trust as the best way to have any influence on the future of sea angling. Keep up the great work you are doing. ← The Big Fish – A great boost for angling or a missed opportunity?